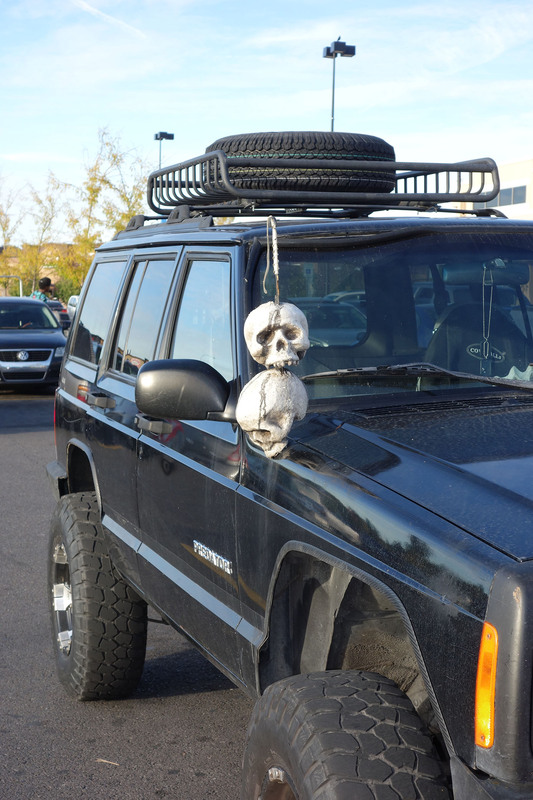 A Jeep Predator Adorned With Skulls! 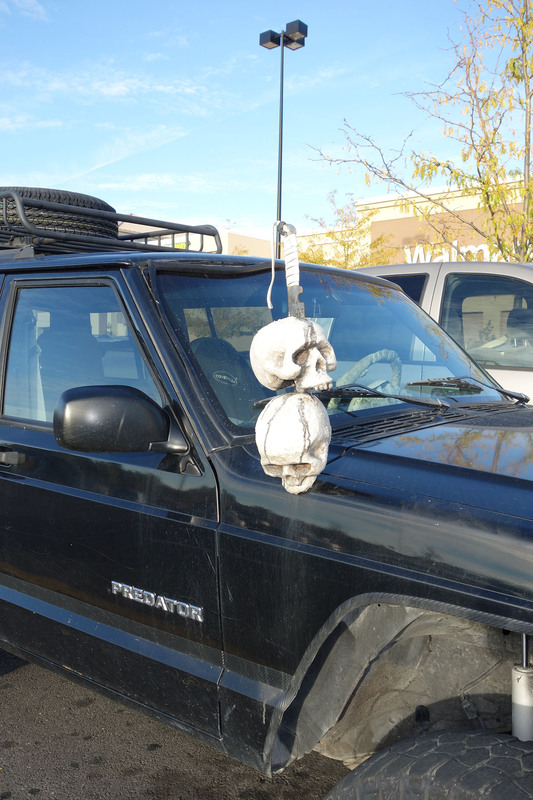 One sees the most interesting sights in Walmart parking lots! This entry was posted in Life! 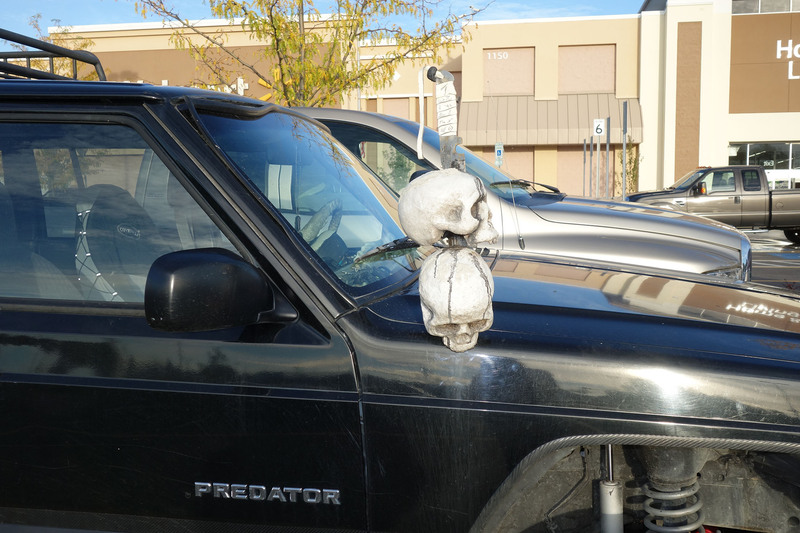 and tagged Halloween vehicle decoration, Jeep Predator, skull trophy, skulls by tarvasalutes. Bookmark the permalink.